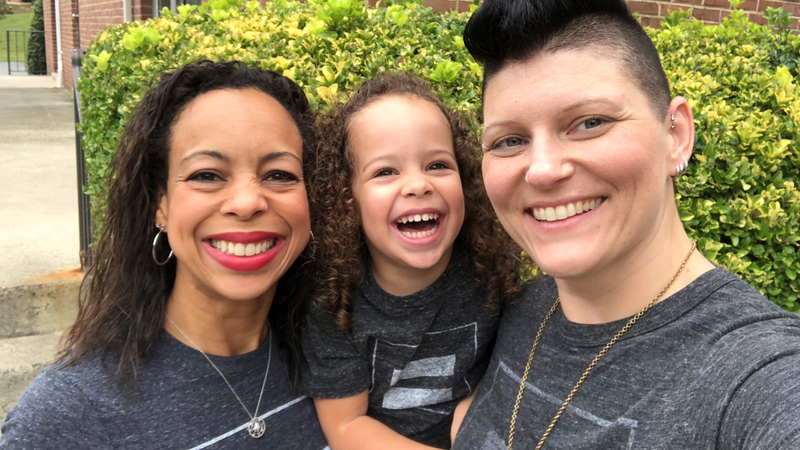 Today’s post featured below comes from HRC Director of Diversity Nicole Cozier, who urges HRC members and supporters to protect young LGBTQ people. Those are the traits my mom and my grandmothers built into our family. When I became a mom myself, I made sure to weave those same traits into mine … and as a staff member at HRC, I like to think we’re weaving those traits into the world around us, too. And offer you this special “Fight Like a Mother” t-shirt when you become an HRC member today! It’s perfect for your mom … your grandma … your friends and chosen family … your partner … or your own superhero self! I’m actually wearing my tee right now! Just seeing it is a reminder of my commitment to this fight for equality: today, tomorrow and for generations to come. All kids, my little one included, deserve to live, love and lead as their most authentic selves — we all deserve that — and, with HRC’s work (fueled by you), I know we can get there. Whether you’re part of the LGBTQ community or simply care about LGBTQ people, I’m asking you personally to help build a fairer and more equal world for everyone! Become an HRC member and claim your “Fight Like A Mother” shirt today — we need you! From all us Moms for Equality to the moms in your life, enjoy Mother’s Day! Thank you for believing in a better tomorrow for LGBTQ people.